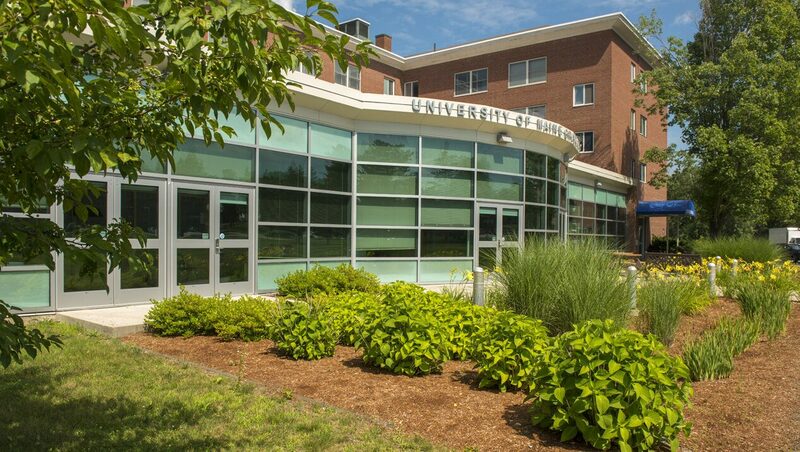 A specially designed courtyard leads to Stodder Hall, home of UMaine’s Graduate School. Bordered by a garden, the courtyard was created with student interaction in mind; note the seasonal picnic tables. A distinctive feature of this garden is the use of bioretention cells that remove contaminants and sedimentation from storm water runoff (see explanatory plaque). The overall design is a good example of the university’s commitment to both scientific application and the arboretum concept. Eastern white cedar and other nearby tree species add to the overall aesthetic. Alums may remember when Stodder Hall was an undergraduate residence and dining hall.